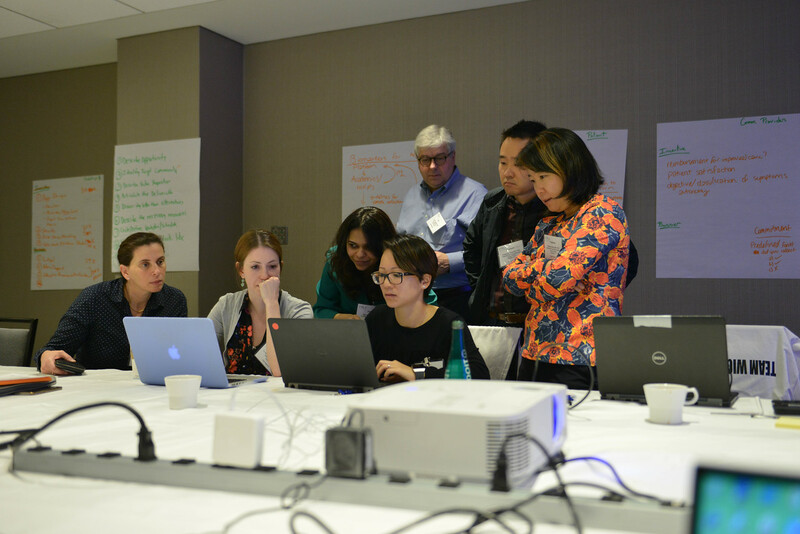 The Society for Immunotherapy of Cancer (SITC) Sparkathon program brings together investigators early in their careers with various backgrounds, degrees and professional experiences to collaboratively address obstacles the field of cancer immunotherapy faces. SITC selected a group of 28 emerging leaders (known as the SITC Sparkathon Class of 2018) in the fields of cancer immunotherapy, physical sciences, systems biology and statistics for the 2018 SITC Sparkathon. Selected participants met Sept. 12–14, 2018, in Chicago, Ill., for a two-and-a-half-day retreat where they worked together to develop innovative solutions to hurdles the field of cancer immunotherapy faces. 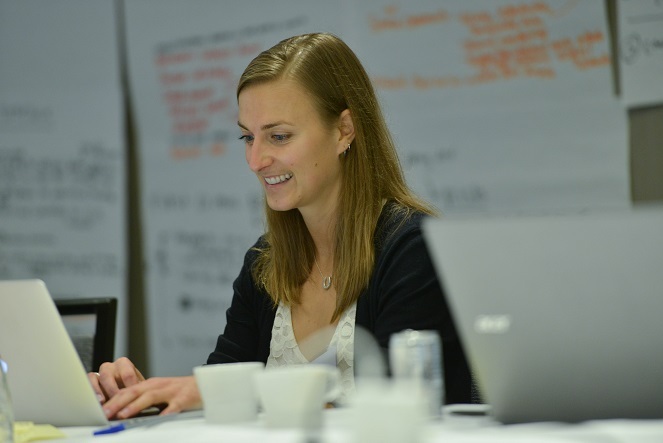 During the retreat, participants worked alongside business experts to develop project proposals. A panel of SITC leaders awarded the most promising project $200,000 to implement the proposed project. The full 2018 class (all participants) will then implement the project during the following 12 months, culminating in a presentation at the society’s 34th Annual Meeting, Nov. 6–10, 2019. Participants met on Sept. 12 – 14, 2018, in Chicago, Illinois for a two-and-a-half-day retreat. The retreat began with a forward-thinking presentation delivered by futurist, Terry Grim, MS, MA which inspired participants to creatively and innovatively approach their project designs throughout the remainder of the retreat. Participants learned about each other’s experiences, knowledge and strengths through ice breakers, which provided a foundation for successful communication during the next two days. The class divided into three teams, and each team operated in a think tank while considering a comprehensive list of key priorities identified by SITC leadership survey results, strategic planning results, policy statements and obstacles within the field. Each team selected one priority or obstacle to address and began to formulate project plans. 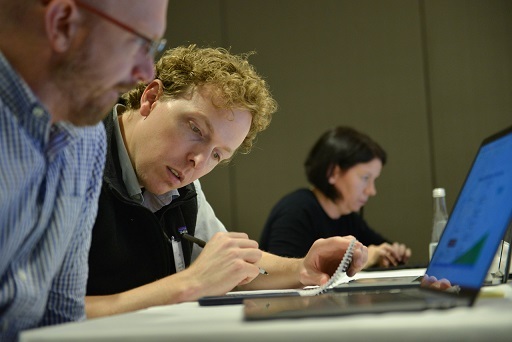 Business experts Kristi Jones, David A. Rosen, and Jon Wigginton, MD served as coaches to support the development of the proposals to ensure successful implementation. Teams presented their proposals to a panel of SITC leaders for merit-based approval, after which each team finalized details of their projects. Teams refined their presentation skills as they made formal project presentations to a panel of SITC leaders. The panel selected the top project and provided feedback and recommendations for implementation. The full class is working together to consider the next steps for implementation of the project. Following the retreat, the class is now developing a detailed plan that includes budgets and timelines. The team was awarded $200,000 for project development and implementation. The class is using a provided online communication and project management platform to further the develop plans and foster continued relationship development among the group. The collaborative interface platform is bringing like-minded people together in a secure community designed to enable relevant and purposeful interactions, ignite knowledge sharing, drive content creation and improve performance. The class has approximately 12 months to execute project plans. Projects must conclude by November 2019. SITC will consider project outcomes for publication in the Journal of ImmunoTherapy of Cancer (JITC) and for presentation at the society’s 34th Annual Meeting, Nov. 6-10, 2019, at the Gaylord National Hotel & Convention Center in National Harbor, Maryland. 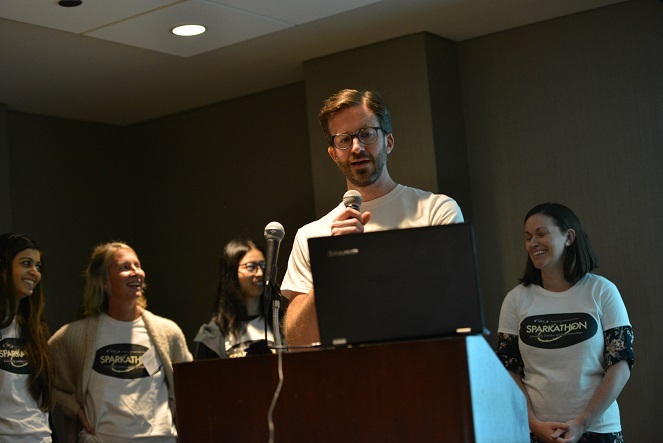 SITC Sparkathon was inspired by a challenge grant from an anonymous donor whose generosity made this unique event possible.